Atlantic Anti Platelet Initiative (AAPI) Panelists have created video taped answers to questions which address both the rationale and clinical insight that influenced their debate & decision making. Please take a few minutes to review questions & answers that are of interest to you from Panelists who represented your geographic region. 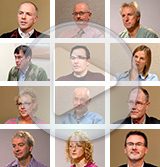 Thereafter, feel free to review Panelist’s videos from throughout Atlantic Canada. If you are in search of an answer which is not provided, please contact Pat Lively (Pat.Lively@HorizonNB.ca) and a Panelist will promptly provide an answer. Any and all feedback regarding the value this tool offers you would be sincerely appreciated!